Why talk Prius when gas is under three bucks nationwide? Ask Toyota dealers in some parts of the country about their Prius sales and you’ll get a polite shrug. 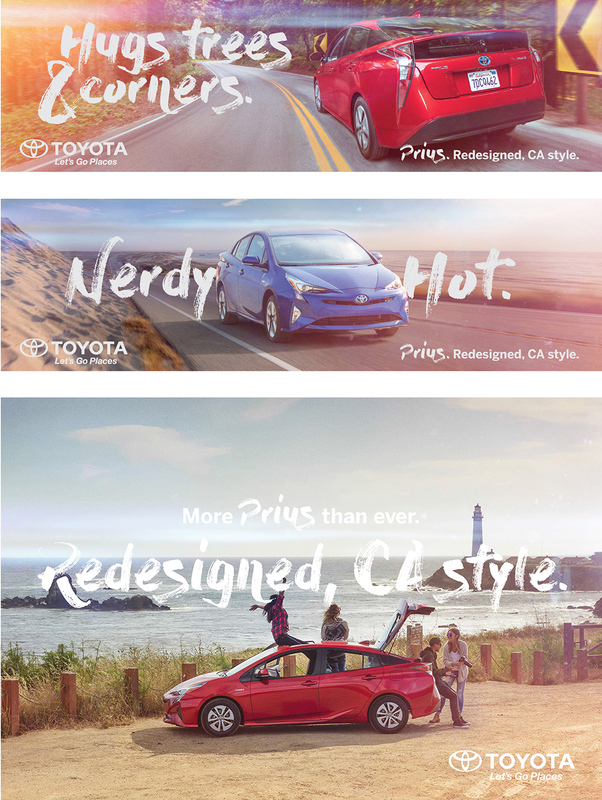 But in California, Prius has become an icon, thanks in part to our persistent stoking and validation of the unending love Californians bestow on this quirky car. 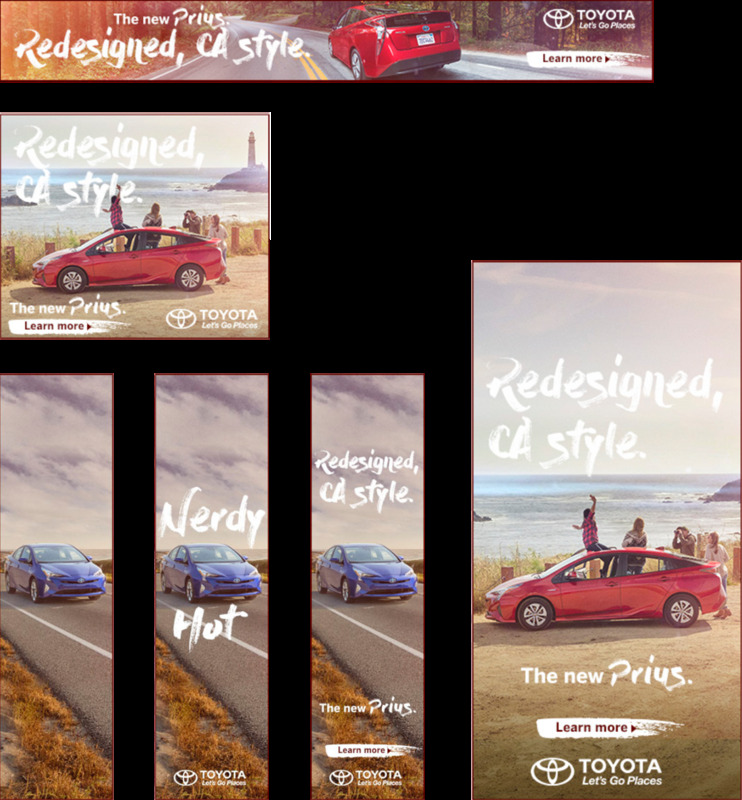 In outdoor advertising, highly targeted YouTube spin-offs, point-of-sale pieces in dealerships and more, we localized the Prius brand to California—doubling-down on Californians’ attachment to it.